Synaptic Cycles is a concierge road bicycle rental service that caters to you, the avid cyclist. We take the worry out of traveling with your bike. Let us bring a clean, well-maintained bicycle directly to you. All you have to do is go out and enjoy the incredible road rides that can be found throughout Southern California. We serve areas within Orange and San Diego Counties. We offer Individual, Group, Conferences, Corporate & Team-building bike rentals. 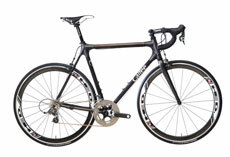 High-end road bike rentals, delivered.